Business Culture in the Netherlands is characterised by: business communication, business etiquette, business meeting etiquette, internship and student placements, cost of living, work-life-balance and social media guide. 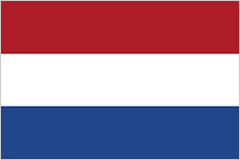 Below is a short introduction to the Netherlands. External links at the end of this page provide you with in-depth information about different topics. With a surface area of more than 41,000 km2, and a population of around 17 million people, the Netherlands is one of the world’s most populous countries. A quarter of the Netherlands’ land area lies below sea level. The low-lying areas consist mainly of polders, flat stretches of land surrounded by dikes where the water table is controlled artificially. The Netherlands, which shares it borders with Germany and Belgium, is often referred to as “Holland”, the identity of the two western coastal provinces, North and South Holland, which are at the core of the country and have played a dominant role in the history of the Netherlands. Thanks to their location on to the Rhine-Maas estuary, these provinces are very important for the economy. They also contain the country’s principal administrative and commercial cities – Amsterdam, The Hague (Den Haag) and Rotterdam. Together with Utrecht, the capital of the province of Utrecht, they form the combined area of what is known as the Randstad conurbation, with a population of around 7 million. Today, the Netherlands comprises 12 provinces: North and South Holland, Utrecht, Gelderland, Overijssel and Flevoland (reclaimed from the Ijsselmeer) in the centre, Friesland, Drenthe and Groningen in the north, and Zeeland, North Brabant and Limburg in the south. Dutch is the mother tongue of more than 22 million people in the Netherlands and Belgium, whilst in the Dutch province of Friesland some people speak another language, Frisian. The Netherlands is in the time zone of UTC+1. However, during summertime (March to October) the clock is changed to summer time UTC+2. The Netherlands has a temperate marine climate with cool summers and mild winters. The most distinctive feature of the country geographically – but also logistically and economically – is the Rhine-Maas delta with its seaport of Rotterdam, the largest in the western world. It is here that one finds a break in the weather pattern, with a milder continental climate to the south and a more vigorous weather pattern dominated by North Sea winds to the north. Dutch society used to be strictly organised along religious or ideological lines with every grouping having its own schools, newspapers, trade unions, clubs, etc. Traces of this can still be seen today in the media, interest groups and the education system. Although churchgoing is on the wane, there are two large religious groups in the Netherlands: Roman Catholic and Protestant together with minorities of for example Muslims, Jews and Hindus throughout the country. However, nearly half of the population has no affiliation to any religious body. As an open economy, the Netherlands is susceptible to international developments and is based on consensus. The Netherlands has a long tradition of negotiation, which lives on in close and regular contacts between trade unions, employers’ organisations and government. It is a member of all the major international organisations. The Netherlands has a well-deserved reputation as a model democracy embodying the principles of pluralism, social responsibility, tolerance and industriousness. It is a highly organised society, so much so that a uniquely Dutch attitude has evolved to accommodate the strains – what is called gedogen, an untranslatable word that implies the ability to tolerate exceptions to the rule. The influence of living in a relatively unfriendly environment over the centuries cannot be underestimated. This has generated a sense of the individual’s worth combined with a strong team spirit and a great fondness for gezelligheid, a peculiarly Dutch form of cosy sociability. Most importantly, it has also produced a consensus-oriented society where everyone has his or her say. All Dutch people know the value of their opinions and do not hesitate to give them. Even more important than gezelligheid and gedogen is the Dutch sense of Freedom. It was in the Netherlands that people first rejected the power of the Roman Catholic Church (as a society). In history, this was the place where books that were not allowed in other countries, were printed. This was a basis for their general attitude: Tolerance. Everyone has a right to his or her opinion. There are fundamental differences between the Dutch and the Belgians. Some say that this difference is due to the fact that the Dutch are born into a seafaring tradition. This is only partly true: there are two formative traditions in Dutch history, the farmers and the pirates. The second of these two cultures is well illustrated in the TV series, ‘Flodder’ – the Dutch counterpart of the Belgian ‘Samson’ series, both of which demonstrate the disarming ability of people to laugh at themselves. The egalitarian urge of the Dutch has also encouraged a tendency to avoid displays of conspicuous wealth: houses and even streets often seem surprisingly small and discreet to foreigners. This also used to apply to cars, but the iconic DAF is now being replaced by big BMWs and the Mercedes-Benz. The traditional conformism of the Dutch – expressed in the popular phrase ‘Doe normaal, dan doe je al gek genoeg’ (‘act normally, that’s crazy enough as it is’) – is, like the dikes, being slowly eroded by the seas of time. Yet, in such a small and highly populated country, there is still a need for social order and some resistance to deviant behaviour, even if an international study into eccentricity rated the Dutch second only to the English in Europe. When doing business in a foreign country you need to be prepared to experience things that are different from those in your own culture. Without proper preparation and planning, you may experience culture shock which can have a negative influence on the outcome of the business. It is understandable that, as an active business person, you can only invest a limited amount of time into the exploration of these cultural differences however, the benefits are extremely worthwhile. The Netherlands has one of the best educational records in Europe, with nearly 100% literacy and more than 20% of the population moving on to higher education. Compulsory education (leerplicht) in the Netherlands starts at the age of five. However, in practice many schools accept children one year earlier. From the age of sixteen there is a partial compulsory education (partiële leerplicht), meaning that a pupil must attend some form of education for at least two days a week. Compulsory education ends at 18. Between the ages of five and twelve, children attend basisschool (elementary school, literally, “basic school”). This school has eight grades, groep 1 to groep 8. School attendance is compulsory from group 2 onwards (at age five), but almost all children commence school at four. From group 3 onwards, children learn how to read, write and do maths. The VMBO Voorbereidend Middelbaar Beroepsonderwijs (preparatory middle-level vocational education) lasts four years, from the age of twelve to sixteen. It combines vocational training with theoretical education in languages, mathematics, history, arts and sciences. Sixty percent of students nationally are enrolled in the VMBO system. The Theoretische Leerweg (literally: theoretical learning path) prepares students for middle management and vocational training at the MBO-level of tertiary education and is compulsory when entering the HAVO system as a next step via the VMBO. The HAVO Hoger Algemeen Voortgezet Onderwijs (higher general continued education) system has five grades, with students attending from 12-17. A HAVO diploma provides access to the HBO level (polytechnic) of tertiary education. The VWO Voorbereidend Wetenschappelijk Onderwijs (preparatory scientific education) system has six grades and is attended from 12-18. A VWO diploma provides access to university education, although institutions may set their own admittance criteria. The Gymnasium programme is similar to the VWO, but the diploma tends to be more highly regarded. It includes ancient Greek and Latin as extra languages. VAVO Voortgezet Algemeen Volwassenen Onderwijs (prolonged general adult education) is VMBO, HAVO or VWO taught to adults, while MBO Middelbaar Beroeps Onderwijs (middle-level vocational education) is oriented more towards vocational training. With an MBO, HAVO or VWO, diploma students can then enrol in HBO Hoger Beroeps Onderwijs (higher professional education) oriented towards professional training, which takes four to six years. On obtaining enough credits, pupils will receive a Bachelor’s degree, but can choose to study longer and then obtain a Master’s degree after a further two years. With a VWO-diploma or a propedeuse preliminary examination from HBO, pupils can enrol in WO Wetenschappelijk Onderwijs (scientific education) at a university. Having obtained enough credits, students receive a Bachelor of Arts or Bachelor of Science degree. They can choose to study longer, either one or two years, and then obtain a Master’s degree in various fields including Master of Arts, Sciences, Philosophy, etc. When doing business in a foreign country, it helps to have some knowledge of the language and computer competency of your counterparts. You can then decide whether it is safe to rely on the host speaking your language or whether it is necessary to travel with an interpreter. Computers and electronic communications can significantly increase the pace of business negotiations. At least some awareness of your business partner’s computer literacy may help you to adjust both your expectations and the degree to which you incorporate technology into your negotiations not to mention saving time and money. As a pluralist and egalitarian society, the Netherlands is an accommodating country and treats its immigrant well. While the Dutch are individually very tolerant people, there are growing signs of popular frustration at the attitudes and behaviour of some immigrant groups and as a consequence, some emerging evidence of racism. This is essentially directed at non-European peoples. If your Dutch colleague responds critically to something you have said or done, do not take this as a rejection. He or she is simply giving an opinion. Although the Netherlands is essentially a tolerant and pluralistic society, there are some issues that are best avoided, particularly at the beginning of a relationship.